The parade will begin at the LiNC carpark and proceed down Main Road and into Heron Street. Please see the attached poster and a parade application form. Please share this with all your members, family and friends. To register your float or group in the parade please complete the site application and return to Ann anndale5@bigpond.com or contact her on 6266 4283 / 0404 090 630. 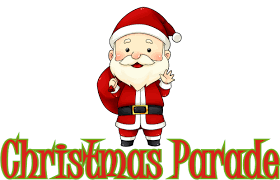 Bring a chair and a blanket and watch the parade and enjoy the Christmas festivities. Looking forward to seeing you all at the 2018 Huon District Lions Christmas Parade and party.